A GIFT THEY'LL LOVE - Imagine the look on their face when they open their gift and find their new favorite coffee mug. 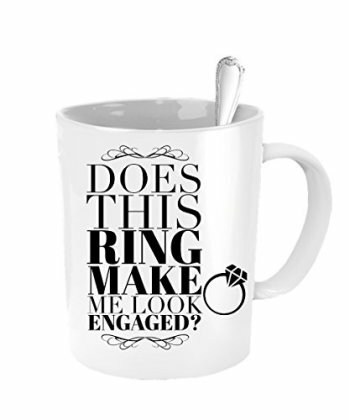 INEXPENSIVE BUT IMPACTFUL - This is an "under $20" gift that they will LOVE, and they'll see this coffee mug every morning. DISHWASHER AND MICROWAVE SAFE - This 11 oz ceramic coffee mug is dishwasher and microwave safe. You can wash and re-wash it without worrying about fading. MADE IN USA - This sarcastic coffee mug is a funny addition to your home or office. SATISFACTION GUARANTEED - You'll love it!